I could see him clearly now. Donkey or not, he had the look of a man who knew exactly what he was doing. Those about him might not know or understand, but he knew. He had a destination in mind, a purpose. You could see it on his face. There was something else different about him. At the time I didn’t know what it was. I couldn’t put it into words for a long time. I think I noticed it because I had watched all those other men come into Rome in their triumphal processionals. They were conquerors, but still they were hollow men, feeding off the adulation of the crowd, thirsting but never satisfied. You could see them vainly drink it in, hoping it would somehow fill the empty soul. This donkey-riding king wasn’t drinking from the crowd. I somehow sensed he was full already, and what he had within must have come from a different source. Just at that moment a strange feeling seemed to rise within me. Maybe it was the joy of the crowd. I had expected anger. Maybe it was the children waving palm branches or the spontaneity of the singing? I don’t know. For one moment it all seemed to come together. It seemed right somehow. Like heaven and earth had finally, for a moment, come into agreement—an agreement that had never been achieved before. He was much closer now. He was now within the shadow of the gate. “What did I mean by what?” He had a blank look on his face. I was totally baffled. Was I hearing voices? This whole thing was making no sense, no sense at all. Passover pilgrims weren’t supposed to come into the city this way. We had a revolutionary on the loose—riding a donkey. And now I was hearing things? I rubbed the sweat from my forehead, hoping for some clarity to emerge. I had a hundred men whose lives were in danger from this Jewish Messiah and his horde of followers. That was what mattered. By this time the donkey man had passed under the gate and was heading in the direction of the temple in the heart of the city. I pointed at the retreating figure on the donkey. The poor wretch was in shock and seemed quite unable to get out a word. Claudius reached for his sword. For the director of music. Of the Sons of Korah. A maskil. you crushed the peoples and made our ancestors flourish. You are my King and my God, who decrees victories for Jacob. and we will praise your name forever (NIV). But if you succeed, what is the source of your success? The author of Psalm 44 would respond by saying success does not come from a formula, a habit or a tip. Success and victory come from the LORD. 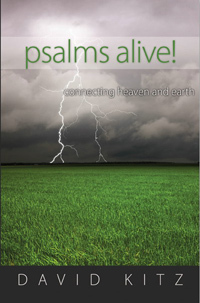 In this psalm the psalmist refers to the conquest of Canaan by the children of Israel. It was not by their sword that they won the land, nor did their arm bring them victory; it was your right hand, your arm, and the light of your face, for you loved them. If you succeed in your field of endeavor, what will be the reason for your success? Undoubtedly, hard work, sound practices, wisdom and creativity all play a part, but there are plenty of people who have these character traits in spades, but still they fail to reach their potential. We only succeed—succeed in the fullest sense—when God is working with us. Paul, the apostle, reminds us of this truth, “No, in all these things we are more than conquerors through him who loved us” (Romans 8:37). We conquer in our field of endeavor when God is working with us. If you succeed, who is the reason for your success? Response: LORD God, any success I have comes from you. Every triumph is a victory that you bring. Help me to always remember that you are my source. I succeed because of your love, Lord Jesus. Amen. Your Turn: Who deserves the credit for your success? Take a moment to give thanks to God.